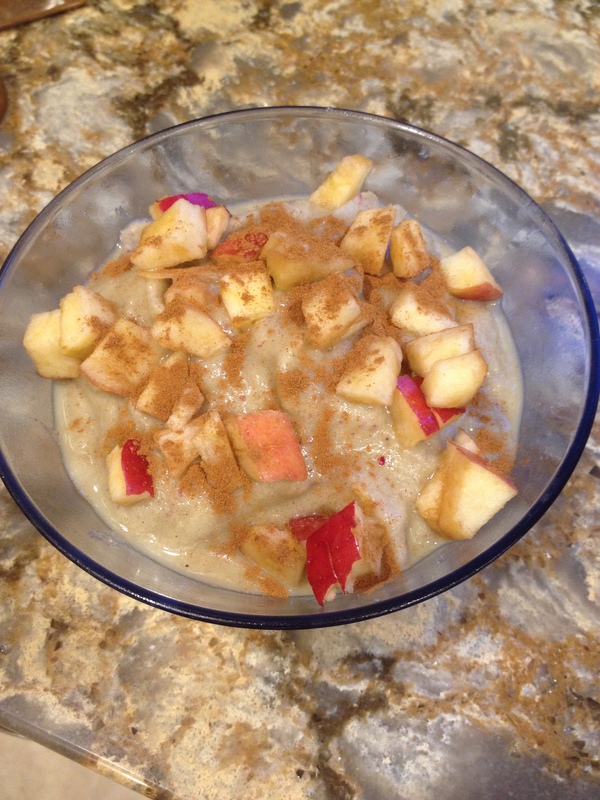 After running a 5K this morning, I was in the mood for an oatmeal smoothie with protein and carbs! This smoothie recipe was perfect! Directions: Combine all ingredients in a blender and blend until smooth and creamy. *For a thinner smoothie, use more almond milk. For a thicker smoothie, use less almond milk. With the warmer weather and summer on its way I have been craving light, fresh meals. I was also craving some protein in the form of tofu. I did not want to make my usual baked tofu, but wanted to make it more fresh and summery tasting. The first flavor I thought of was lemon! 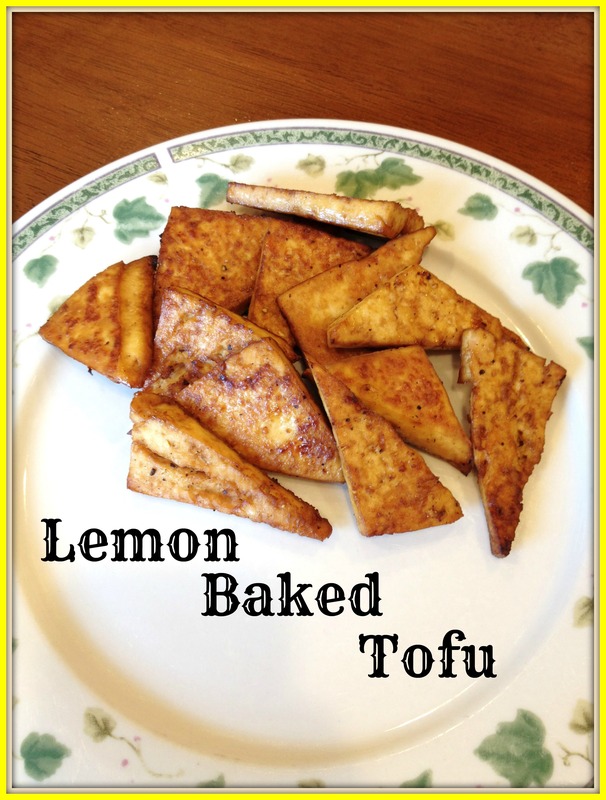 So I googled some ideas for lemon baked tofu and came across this recipe! Press tofu to get out all moisture. Squeeze the juice out of the lemons into a shallow, long bowl. Place tofu in the bowl making sure to coat each slice and allow to marinate for at least an hour, flipping once halfway through. When tofu is marinated, preheat oven to 400F. Lay tofu slices on a baking pan with foil sprayed with olive oil (to prevent sticking). Bake for about 10 minutes, flip pieces, then bake for another 10 minutes. 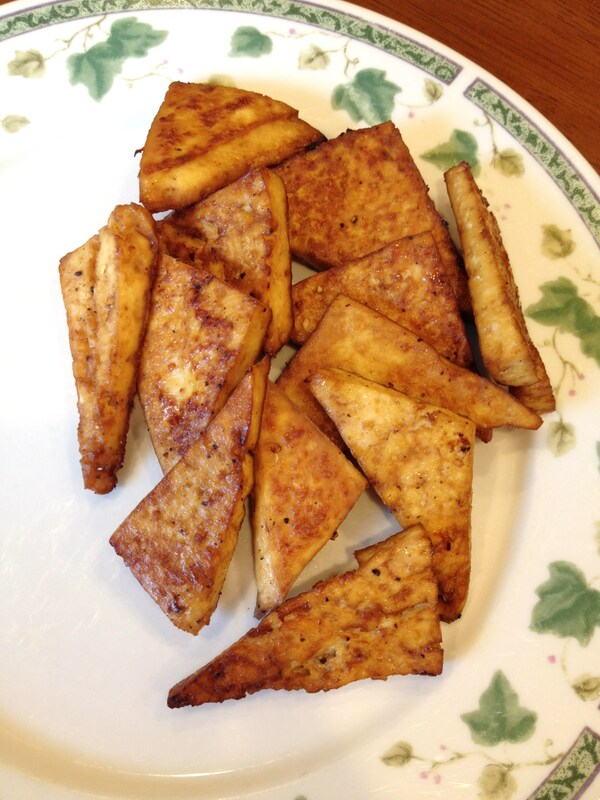 If you like crispier tofu, bake a little longer. But be careful, once it starts to brown it can burn very quickly. It’s finally starting to get warm! It has been the longest, coldest winter ever! I was thrilled yesterday that it got into the 80’s and will be again today. 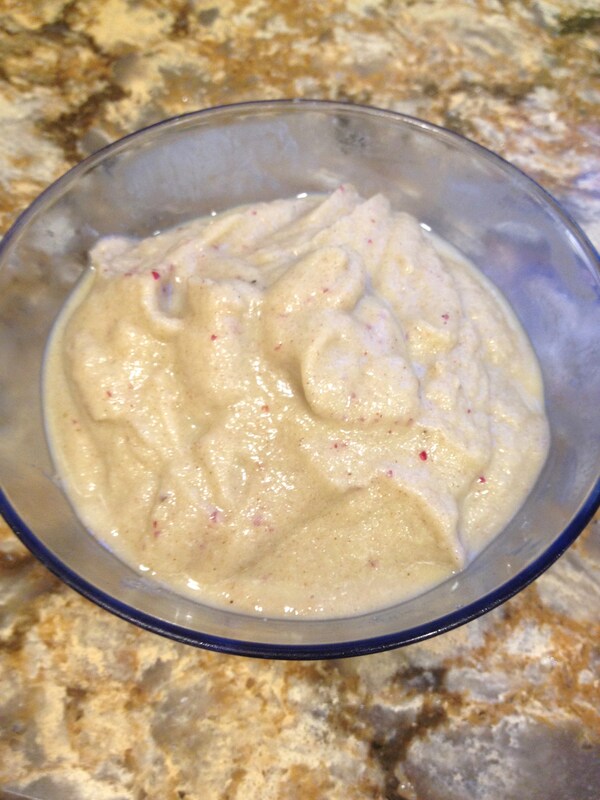 To celebrate I made a healthy “ice cream.” With the protein, this makes a great post workout treat! Dice apple. Place half in the blender and reserve the other half. Place all other ingredients in the blender and blend until desired consistency. Stir in the rest of the diced apples. Pour into a bowl and top with cinnamon. Eat immediately or, for a more “ice cream” consistency, place in the freezer for an hour and a half and stir every 30 minutes. This is what it looked like before I added toppings. 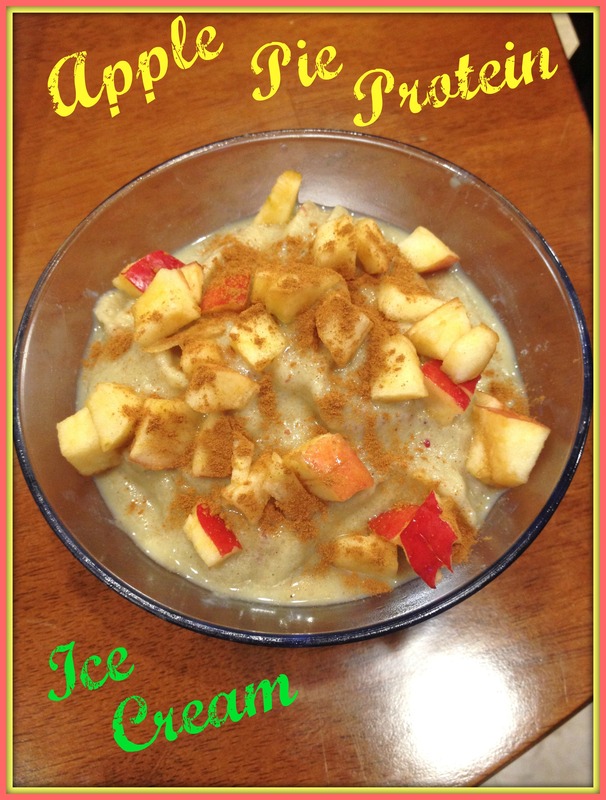 My ice cream with chopped apple pieces and cinnamon! This would also be great topped with almonds, hemp seeds, banana slices, etc. This recipe makes 1 large serving or 2 small servings. 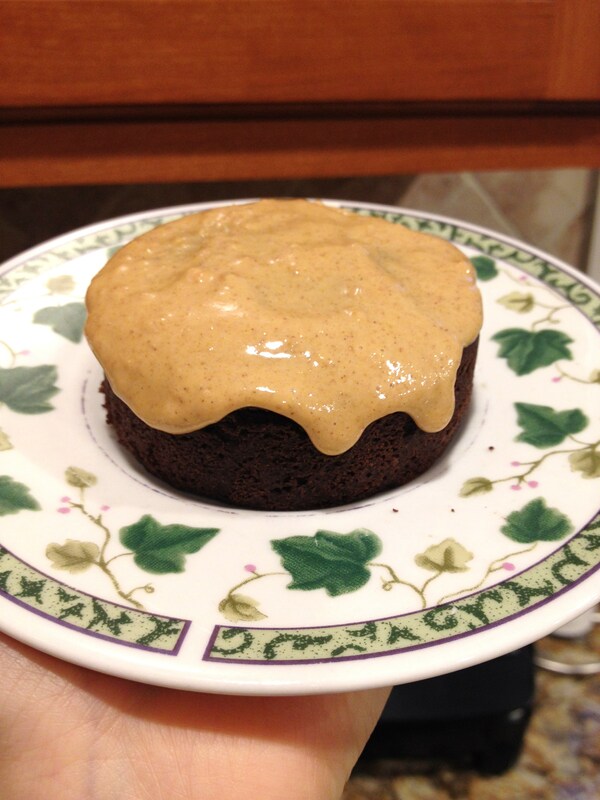 The entire recipe yields approximately 465 calories and 24g protein. Today I wanted to highlight 2 oatmeal recipes. Recipes that have been posted a while ago may go unnoticed when it is a really good recipe. And sometimes I like to update recipe photos to ones that look much better and more appetizing or add a picture to posts that I never had a picture for from the first time I made the recipe. 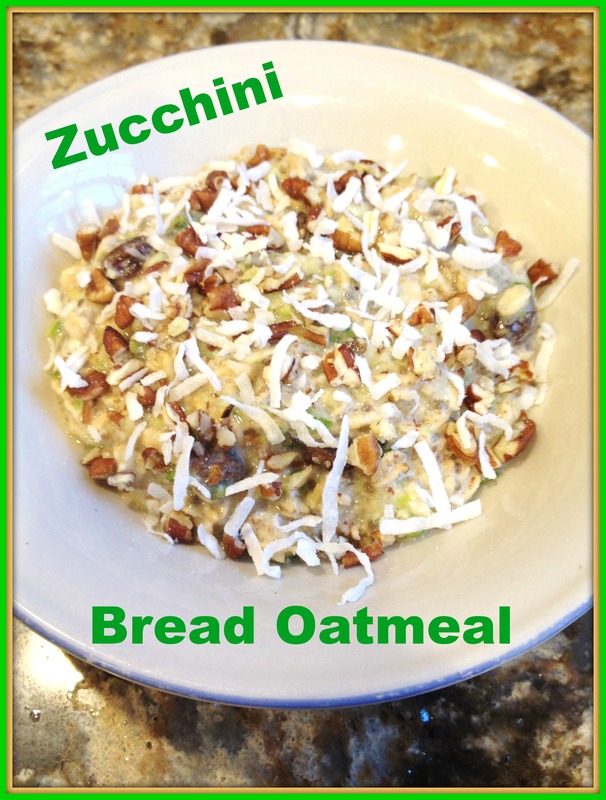 The Zucchini Bread Oatmeal was first made back on November 10, 2012! That one definitely needed to be mentioned on here again. Plus I updated the photos, which now look so much better and I changed the recipe a little to make it even more tasty! 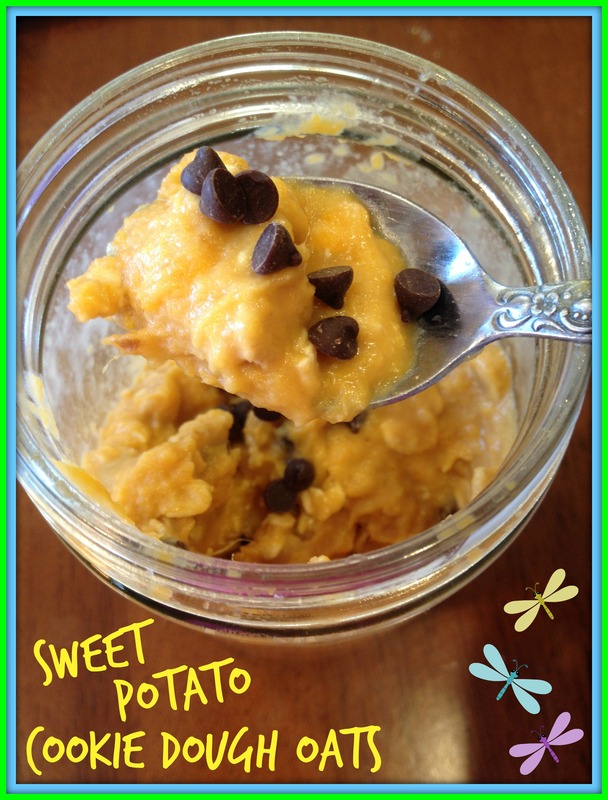 The Sweet Potato Cookie Dough Oats was made on September 5, 2013. A more recent recipe, but this one I did not have any pictures for, but now I do! I like this idea of bringing back recipes with better photos. I might have to do this more often! 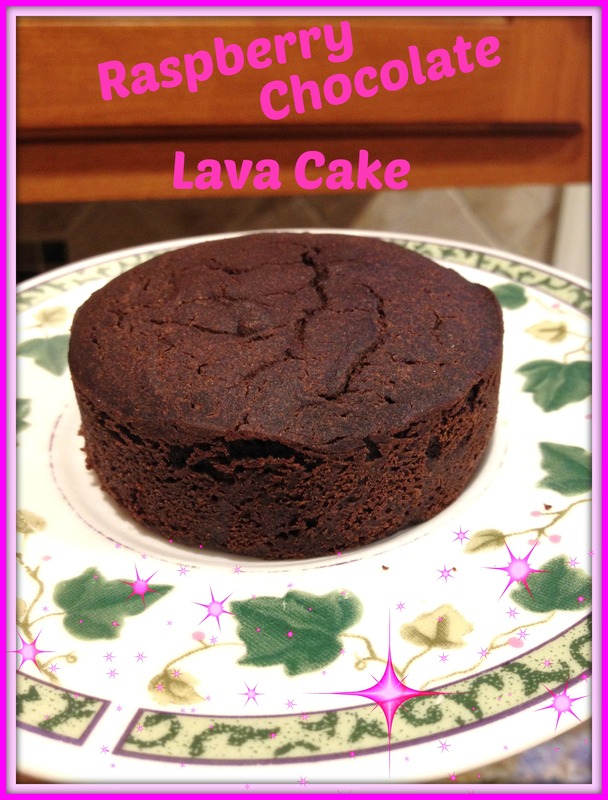 I love lava cakes! However, it is very hard to find a vegan, gluten free version to buy. In fact, I don’t think I have yet come across one. I’ve looked for recipes online, but either they don’t come out right (over or under baked) or the filling doesn’t really taste right. When I saw that this recipe used jam as the filling, I figured why not try it – it sure sounded tasty. I’m glad I gave it a shot, the texture of the cake was perfect and the jam filling was perfect! Preheat oven to 350F and grease 1 cup ramekin or mug. 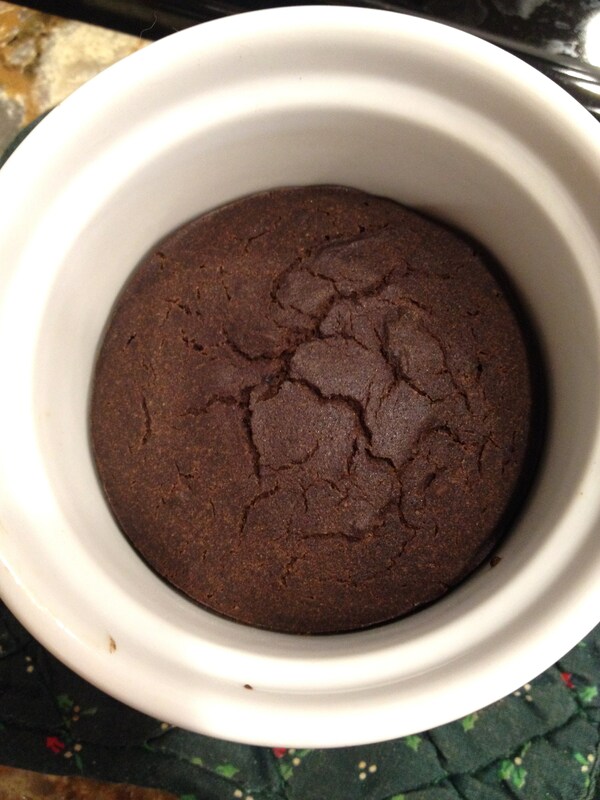 Combine buckwheat flour, carob powder, coconut sugar, salt, and baking powder in a bowl and stir. Add vanilla extract, almond milk, and coconut oil and stir to combine. Spoon half the batter into prepared ramekin or mug. Add raspberry jam and chocolate chips, if desired, in the middle. Spoon the rest of the batter on top. Just came out of the oven! Feel free to play around with the filling. 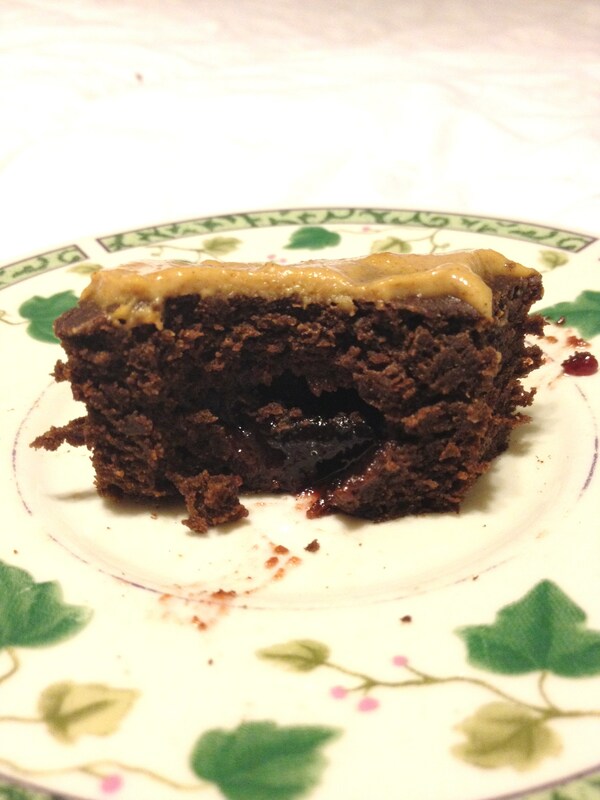 Use a different flavor of jam, use fresh mashed fruits, use banana, applesauce, peanut butter, or pure chocolate. Or try a combination! Can you imagine peanut butter and jelly? Peanut butter and banana!? Peanut butter and chocolate!? Peanut butter, chocolate, and banana!?!? 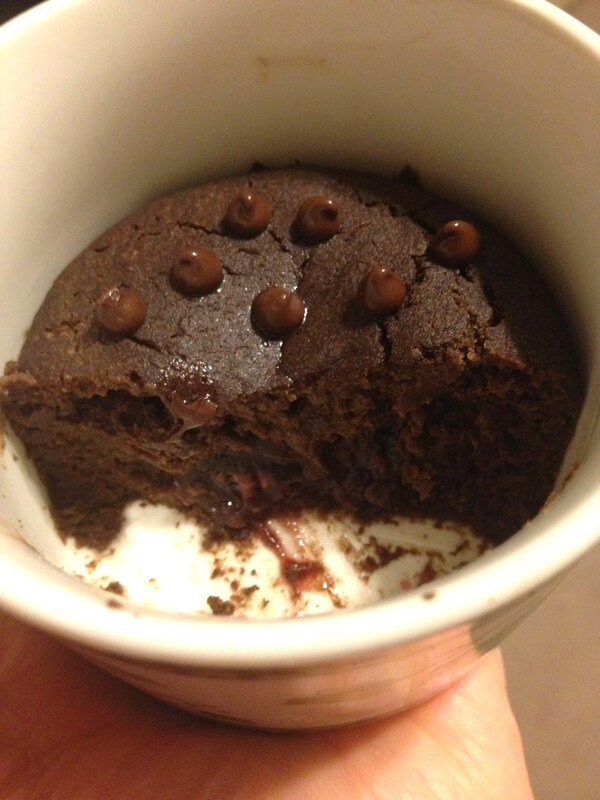 The first time I made this I added chocolate chips on top! The second time I made this I topped it with peanut butter frosting. Here’s a better pic of the inside of the cake with peanut butter frosting.